A friend of mine and I decided to target some whitefish at vernita. First time targeting these fish so researched from past posts about what gear to use. We chose egg fly patterns tipped with fake soft eggs and whitefish flies tipped with gulp maggots. Egg fly pattern caught all the fish. We drifted from whitefish island to the power lines and consistently hooked up into fish. The feel of the bite is very soft. 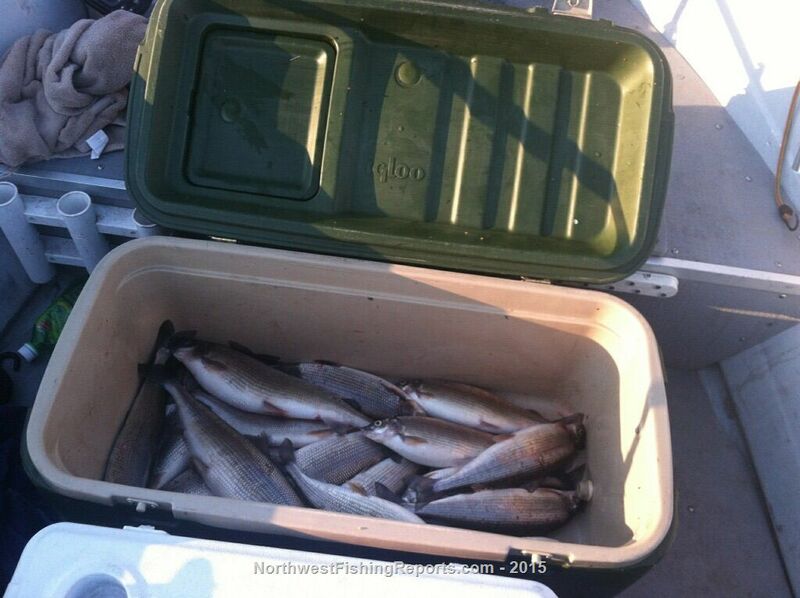 Caught fish in the 17 to 23 fow. Decided to smoke them cuz I heard they were pretty good. Processing these fish takes some time cuz they do have quite a bit of bones near the upper half of the fillet. They are tasty fish smoked and we were very surprised that they are an under fished and under appreciated species. View other reports from Asianju. good deal. These are highly regarded fish smoked back in Wisconsin. Have fished these in this area since back in the 60's they're a lot of fun. Try pressure cooking them in pint jars after you smoke them, it dissolves the bones and use it just like tuna. You'll be amazed! I will try pressure cooking them after smoking them on a few of those fillets. Fished them for a long time in the upper Skagit river, till the floods thinned them out a lot. We scaled them, and smoked em. There Great, hard white meat. That pressure cooking sounds like the ticket to.